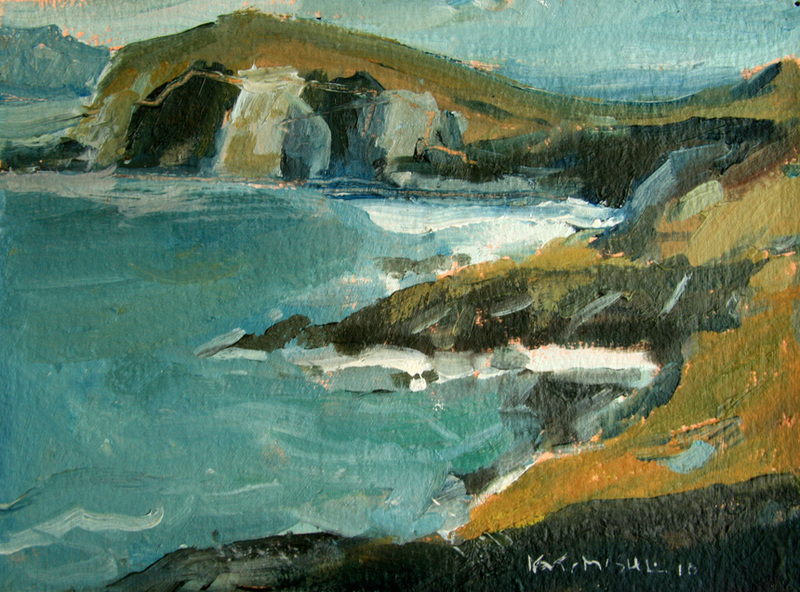 Though I’d been to Ireland a few times before, it was in April of 2009, at the invitation of the Cill Rialaig Project that I returned to Ireland as a painter. 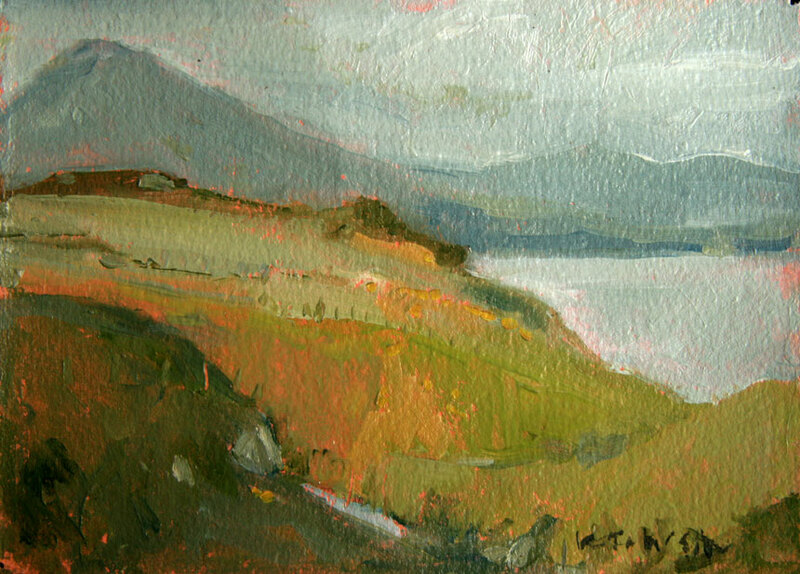 The rugged coast and lush fields of green and early-spring-ochre put me at ease immediately. 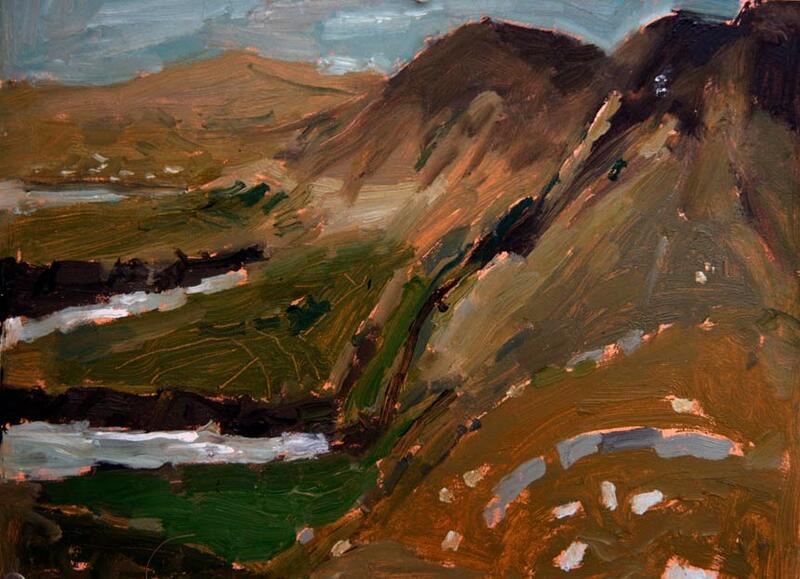 South Kerry is a place I’d never been, but felt completely at home in from the first moment I stepped on to the Cill Rialaig road, which they call “the last road in Ireland”. 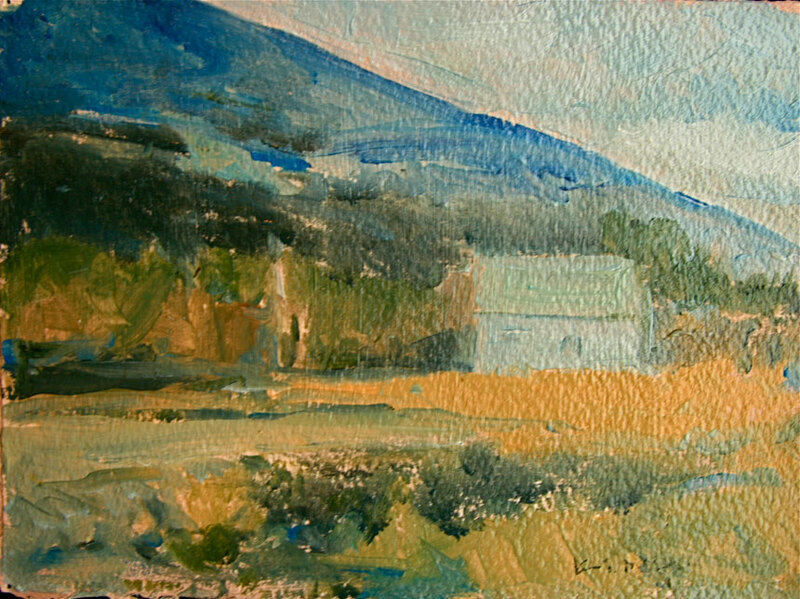 I spent the better part of a month in a thatched roof cottage by the sea with nothing to do put paint, draw, and fall in love with my neighbors. And then we sang. I went back the following April to strengthen the friendships I’d established there, to make use of the print shop with those friends, and to continue the work that I’d begun the year before. Mission accomplished. 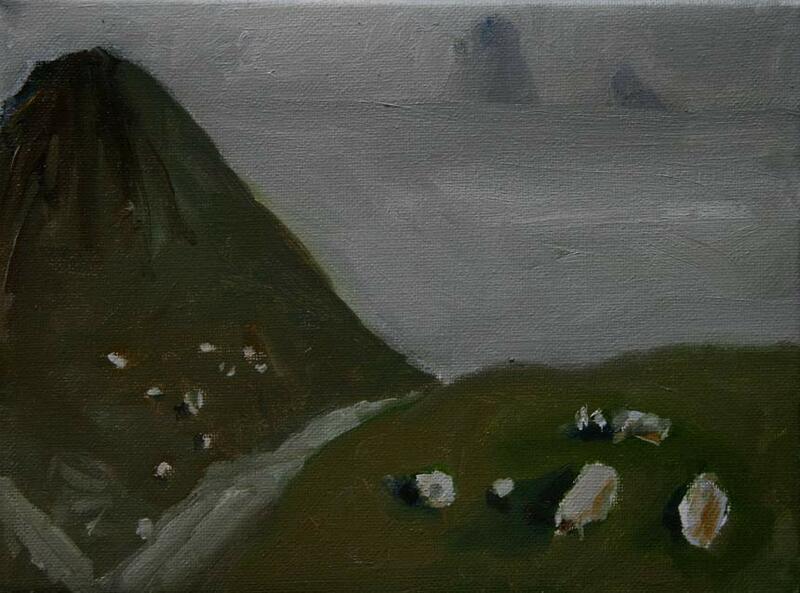 The skelligs that appear and disappear in that distant place out at sea encouraged me, as did the spring lambs that came as close as they dared before bleeting away toward their mothers. This is another place I know that I will return to…its affect on me is still undetermined but completely palpable.